Heartland Maker Fest is thrilled to welcome another new Maker, Kari Anderson! 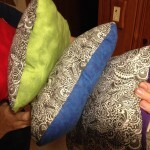 Kari has a passion for pillows. She uses her design talents to create unique (and cozy) accent pieces. Permit me to present these peculiar pillows that provide posh and pizzaz to your parlor. 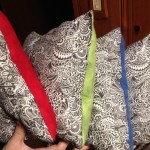 If a pillow proves pleasing to your pondering peepers, I’ll package it up post-haste for purchase! 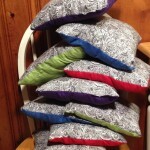 All pillows are made from hand-rendered designs, printed on quality fabrics. Want to know more? Find Kari at the Heartland Maker Fest!